The pics don’t quite tell you about how frustrating & scary it can get to actually start putting yourself first. 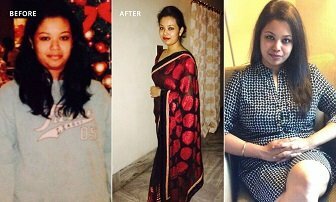 About how you need to cajole your mind to start working out, about fighting diabetes at such a tender age, about emerging as a winner when you not only lose around more than 10kgs but also get rid of your diabetic pills. It doesn’t tell what it takes to carry the burden of self doubt & low self esteem in spite of being a successful entrepreneur , what it takes to rise above all of that to practice self love and be confident & happy. Nor does it tell you that your friends and people around who you inspire today were the very ones who made you feel “big & tall” a year back. It doesn’t capture the bravado it takes to eat mangoes, rice and egg yolks — the struggle to relish these when the whole world smirks in judgement. The pics also don’t capture the joy, the fulfillment of finding oneself, eating practically, pushing weights, running or simply the magic of compliments that you are busy collecting. But still they tell a story, the story that we all need to hear, that we are only just one step away from eating on time, working out and having a disciplined lifestyle. That life is truly simple, even if we go out of our way to complicate it. Well done Neena, you have inspired each one of us!! 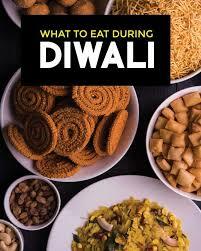 The fumes and smoke from burning of crackers, pollutants and dust leads to dehydration. Keep bottle of water within your sight and sip on it throughout the day. Water from a copper vessel is especially good not only to up your immunity but also to keep a check on constipation and other gastric issues. A powerful antidote to the state of stress, it turns up the parasympathetic nervous system, sometimes called the “rest and digest” response and supports digestion, relaxes muscles and promotes a good night’s sleep. No wonder, it is often called the ‘queen of restorative poses’. Wish you and your family a very happy Diwali!! 7. Puranpolis: Tuck it in, it’s Holi after all! Open letters are breaking the Internet these days. Farhan Akhtar recently wrote one to his daughter and Amitabh Bachchan to his granddaughters. Also in the very recent past, films such as Pink and Parched have done impeccably well in addressing women’s issues in both rural and urban settings in India. Today we are at the last day of Navratri, a festival dedicated to the feminine nature of the Divine. The feminine has always been worshipped in Indian culture in various forms. She is referred to as ‘Adi Shakti’, ‘Param Shakti’, ‘Maha Shakti’ or simply as ‘Shakti’. 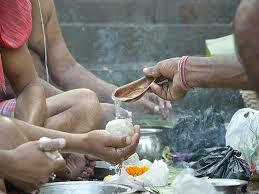 Today, most households in India will invite small Kanyas for prasad, worship them and give them gifts. The belief is to recognize in the girl child the power, energy and strength that is vested—the ‘Shakti’. Yet, at the same time, ours is a culture which has also seen a terrible exploitation of the feminine. Though people’s awareness about women’s issues is gradually on the rise, what I believe needs to be done at the most basic level is to bring about some important changes in the way we bring up our girls. If we constantly keep our girls away from sports and athletics, and worry more about their complexion getting darker in the sun, we cannot be sure of giving them a safe and secure future. If we keep fretting over their bruises and repeat expressions in front of them such as ‘daag nahi gaya toh shaadi kaun karega’, we can be sure of raising a generation that will only continue to get exploited. Sports do a lot more than they appear to. In my career as a fitness professional, I have often come across girls who play sports but only until they are in the 8th or 9th standard. As parents and guardians, it is our responsibility to encourage them to keep pursuing sports even later or to weight train at the gym and/ or take up any traditional form of yoga practice. Lifting weights at the gym is not going to make them look less like girls—in fact, it will give them the strength and courage (both physical and mental) to stand up for themselves and never give up. Practising inversions (head stands, shoulder stands, etc.) at yoga classes empowers a girl to “choose” and not simply “comply”. She learns to rise against conventions and conditioning, without the fear of falling down. ‘Shakti’ is literally translated as ‘Strength’ and Strong is NOT the ‘new’ beautiful. Strong has always been the ONLY beautiful. The festival of Navratri is based on this fundamental insight. Violence at home is India’s ‘failing’—BBC, 2014. What sets our country apart from the rest of the world is the culture of silence that surrounds it. Ironically, the more educated a girl is, the more silent she gets. The pressure to fit in with society’s expectations, to be a ‘cultured’ girl who is always smiling and enduring, is shouldered more by the so-called ‘acche ghar ki ladkiyan’. This, by the way, is the exact opposite of education, for education is supposed to remove your fears and set you free. The “beti bachao, beti padhao yojana” sounds a lot like a joke. The responsibility does not lie with schools but with each of us. It is our responsibility to stop raising “Good” girls. Instead, let us raise “Strong” girls. Stories of Cinderella and the like mostly revolve around the sad plight of beautiful girls waiting to be rescued by their Prince Charming. When we live in a society where incidents of domestic violence are reported about once every five minutes (BBC, 2014), I really wonder if stories of “happily ever after” really make any sense. Instead, let’s tell them stories of bravery, grit, valour, and honour, of the invincible Durga from mythology, of Jhansi ki Raani from history, and of Yusra Mardini or Reshma Qureshi in our current times. 4. And lastly, stop body shaming, please! For people like us who have been attached to our land where we come from for thousands of years, food is more than just a sum total of calories and nutrients. Our traditional meals define our identity and represent our relationship with the earth, wind and the sky. This point, so often lost in an age when processed foods and foods traveling long distances are commonplace, is driven home by special days like today. Mahalaya Amavasya is a special day when we make an offering to express our gratitude and respect to all the generation of our ancestors who have contributed to our life in some way or the other. We not only owe to them our existence but without their contribution we would not even have the most ordinary things in our life, those that we often forget to cherish in the everyday routine and hustle bustle. The language that we speak, the way we dress, much less the food we grew up eating – almost everything that we know today has come to us from generations before us. Also, during this time, farmers will just begin to harvest their produce and offer the first produce to the ancestors as a mark of respect and thankfulness, before the whole country breaks into festivities of Dusshera and Diwali. But we, the ‘educated’ are so busy trying to look ‘thin’, ‘cool’ and lose weight that we have taken the food wisdom passed on to us through generations (of course, along with various other teachings of our ancestors) simply for granted and belittled it into some “calorie counting science”. B.M.Popkin, American food science researcher, even coined a term for it – ‘Nutrition Transition’ – The transition of developing countries from their traditional diets to more Western pattern diets of packaged & processed foods, that in turn is causing increased rates of adverse health and obesity. Hope this Pitru Paksh, we find an opportunity to not only offer gratitude but also go back to our roots where we come from, not only to lose weight but also to leave behind a legacy of health and well being for all generations to come.